The Zion - Hurricane area is gradually becoming known as the place to ride. It is often a stop made by riders traveling from the biking meccas of Moab, UT & Sedona, AZ. 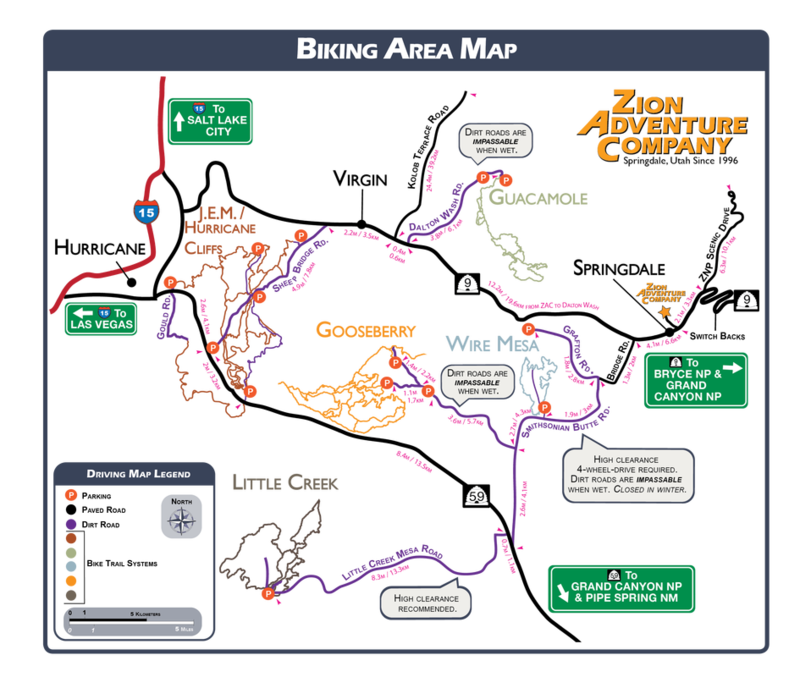 The trails and rides scattered throughout the Zion area are as diverse as the surrounding wilderness.